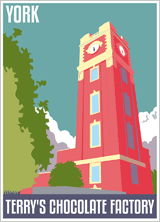 Be first to solve this year's amazing design! A great day out for the whole family. You will have an action packed, fun filled day in the country, exploring your way round the giant maze and over 20 exciting rides, shows & attractions. Including great food & drink, our staff will be looking forward to making your day truly memorable. Just 10 minutes from the centre of York. 7 Weeks of Summer Fun! York Maze won Family Friendly Experience of the Year at the 2018 Visit York Awards. 2016 - Willy Wonka inspired Roald Dahl themed maze! 2015 - To mark 50 years of the iconic show, the Elvington attraction has produced the World’s biggest ever Thunderbird 2. "I wanted to do something big to mark the 50th anniversary. As a child Thunderbird 2 captured my imagination, I think it’s the most iconic of all the Thunderbirds and being green it works perfectly carved into the field of maize plants!" - Farmer Tom Pearcy. 2014: Yorkshire Icons. Geoffrey Boycot, Jeremy Clarkson, Brian Blessed. 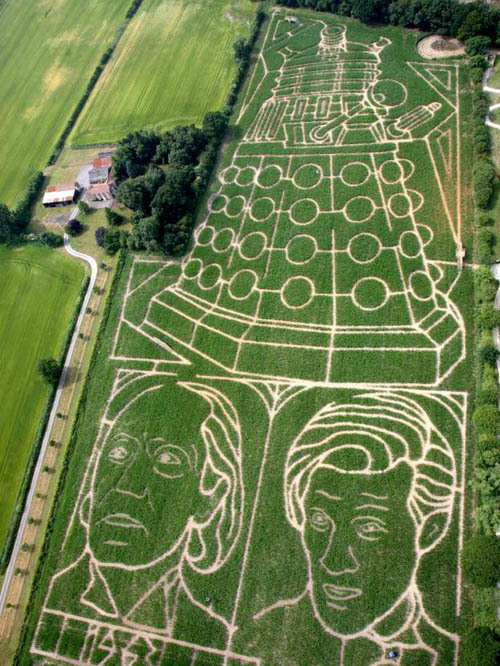 York Maze 2013 - The first & latest Dr Who. 50th Anniversary of Dr Who. The Biggest maze in the universe! 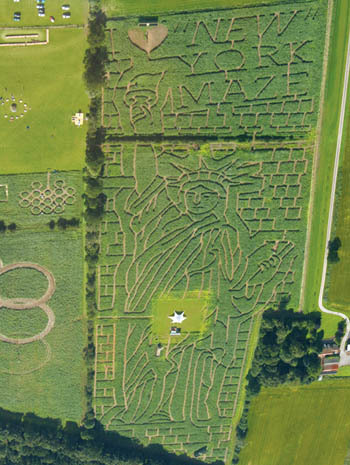 The 2012 "Mayan" maze, designed in the image of the god of corn "yum kaax". 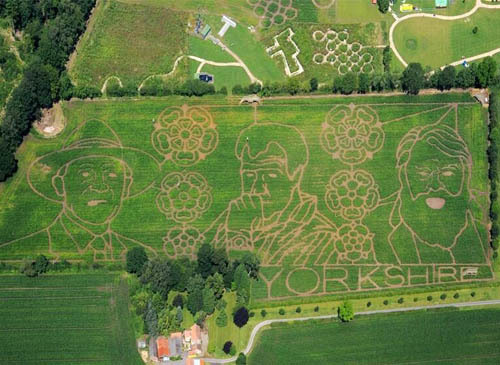 Created from over 1.5 million maize plants and covering an area larger than fifteen Wembley football pitches, York Maze is one of the largest mazes in the world! 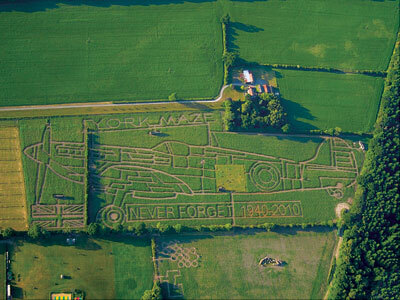 Get lost this summer at the award winning York Maze. 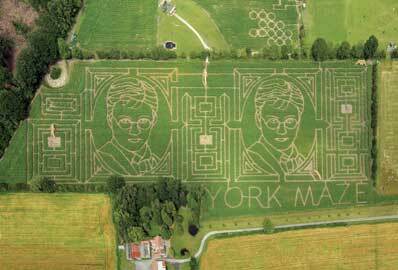 York Maze 2011 - Harry Potter, the worlds largest spot the difference. (above) Aerial photos from previous years mazes.